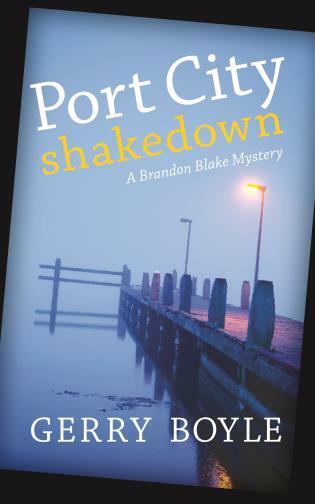 The first novel in veteran crime writer Gerry Boyle’s series about young Brandon Blake, a loner who lives on an old cabin cruiser in Portland Harbor. Blake learned early to depend on no one, but in an incident on a ride-along with the Portland Police Department, Blake is marked for payback by a violent ex-con. Meanwhile, questions begin to arise about his mother, who disappeared when he was three years old. This is a tale of opportunistic predators on a collision course; it is about the ocean, the fortunes it can deliver—and the lives it can swallow whole. Gerry Boyle was born in Chicago, raised in Rhode Island, and now lives in China, Maine. He is best known for his Jack McMorrow crime novels, including Damaged Goods, Deadline, Potshot, and Pretty Dead.